3x6' traditional pleated fans for patriotic decorations. This patriotic flag bunting is made with a durable poly/cotton blend and features red/white/blue stripes and white stars. 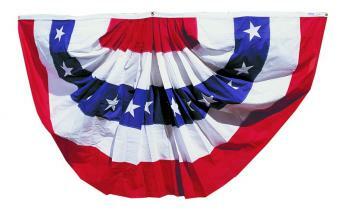 Our polyester and cotton American flag bunting is a great value fan for occasional usage.